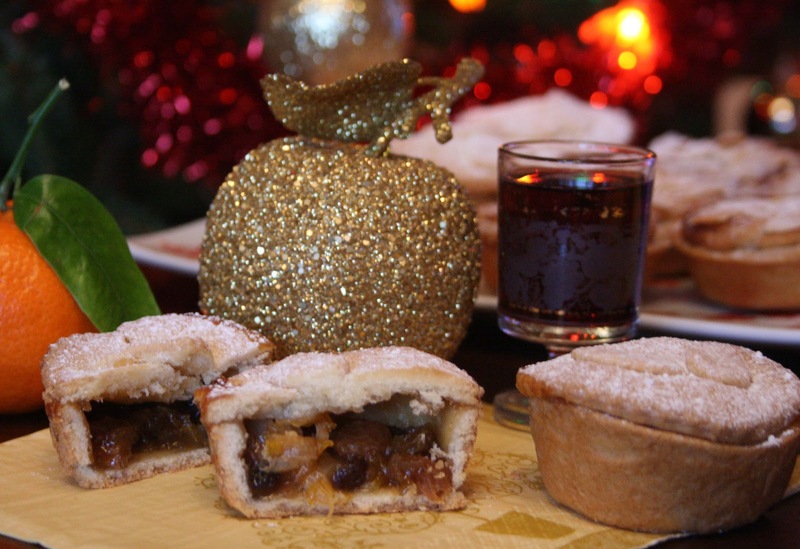 What is Christmas without a mince pie or two? 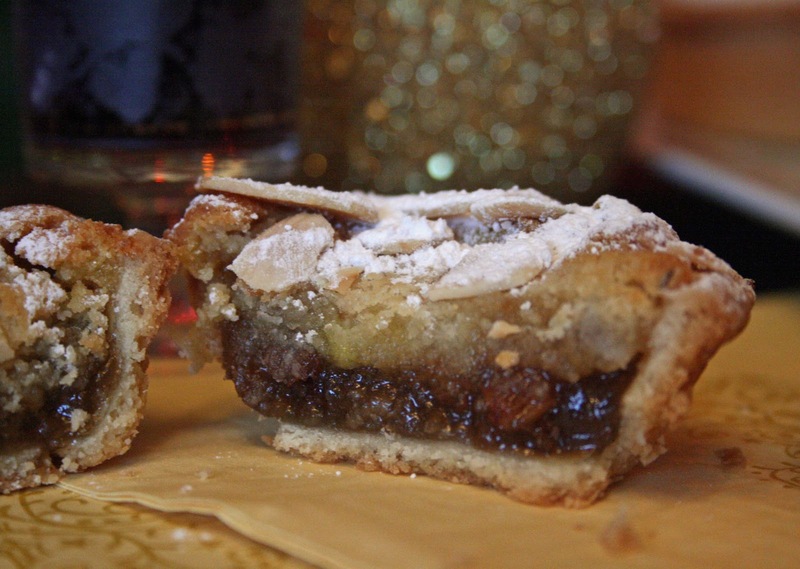 I thought I'd try out a couple of variations on the traditional mince pie this year. 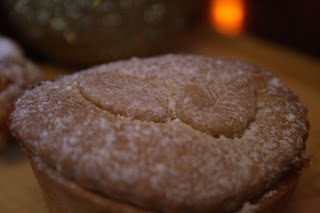 First up are Stollen topped mince pies. 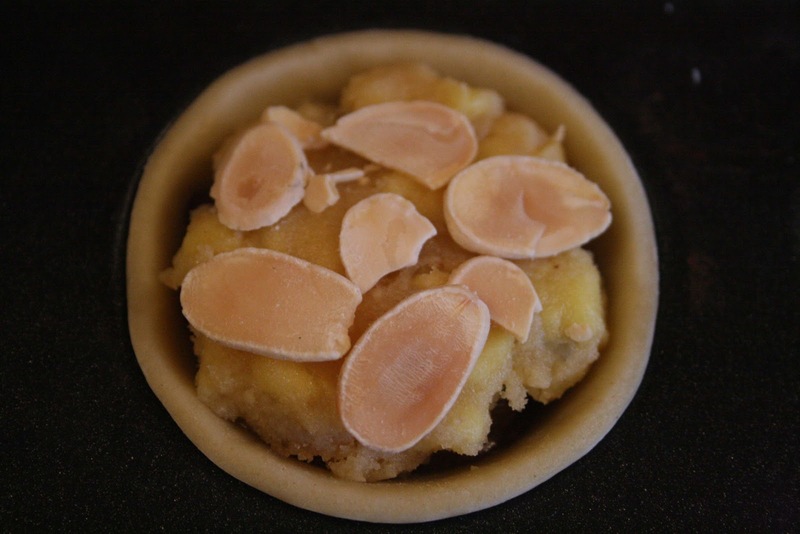 The pastry is a lovely sweet shortcrust which you can either make using your favourite recipe or using shop bought pastry. The BBC has a good recipe for sweet shortcrust pastry here. 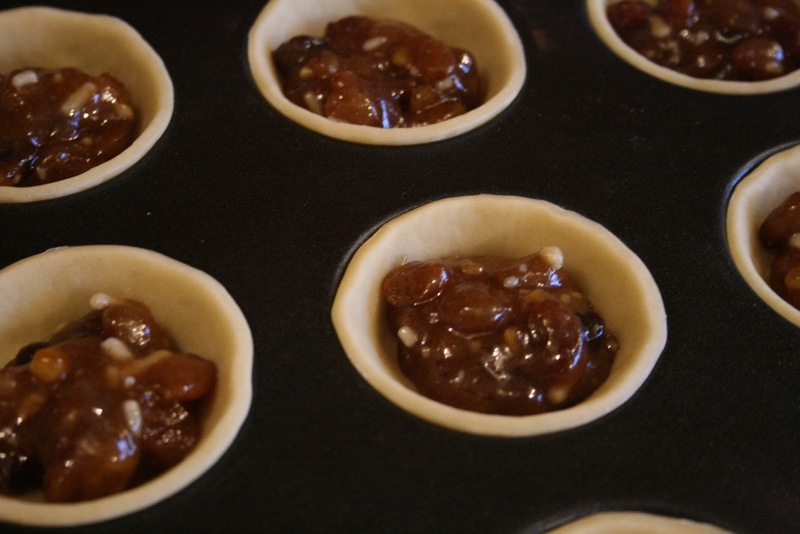 Each pastry case is filled with a couple of teaspoons of mincemeat...again if time allows you can make your own mincemeat in advance. Each mince pie is then topped with a stollen mixture which interestingly has madeira cake in it, along with ground almonds, caster sugar, butter, an egg yolk, candied peel and marzipan. I took a little ball of the stollen mixture and flattened it into a disc before placing on top and pushing it down into place which made it a little easier. 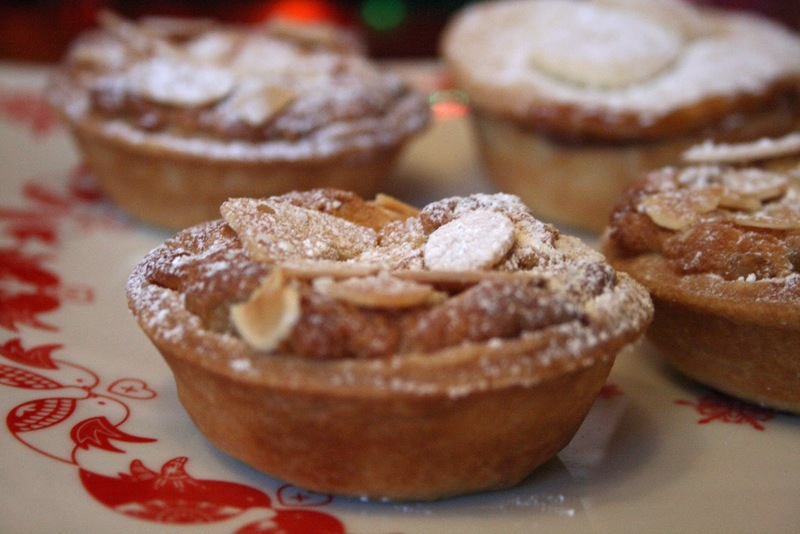 Each mince pie was then finished off with some toasted flaked almonds before going into the oven. Once baked they were dusted with icing sugar. 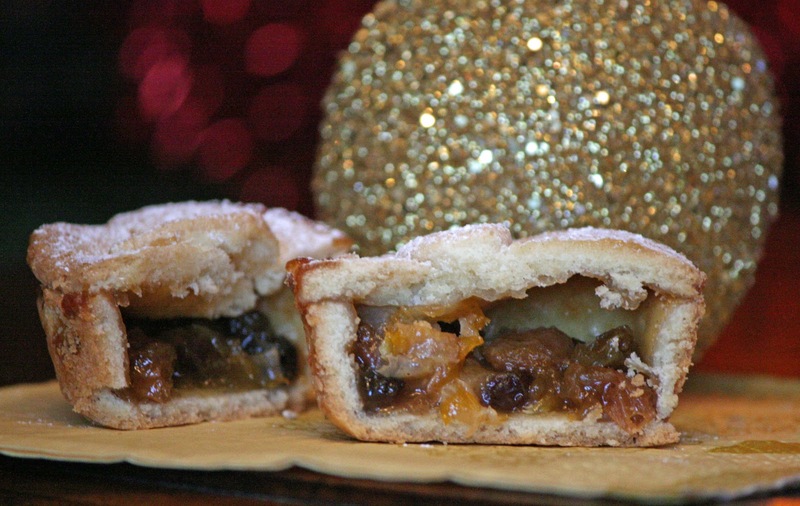 These are a great alternative to traditional mince pies and stollen is another festive favourite. They were light and tasty and the stollen stayed soft when baked. My second mince pies are Clementine and Apple. The recipe is by Paul Hollywood and they were featured on the Great British Bake Off Christmas special earlier in the week. You can find the recipe here, Paul used tangerines but any Christmassy orange will do. 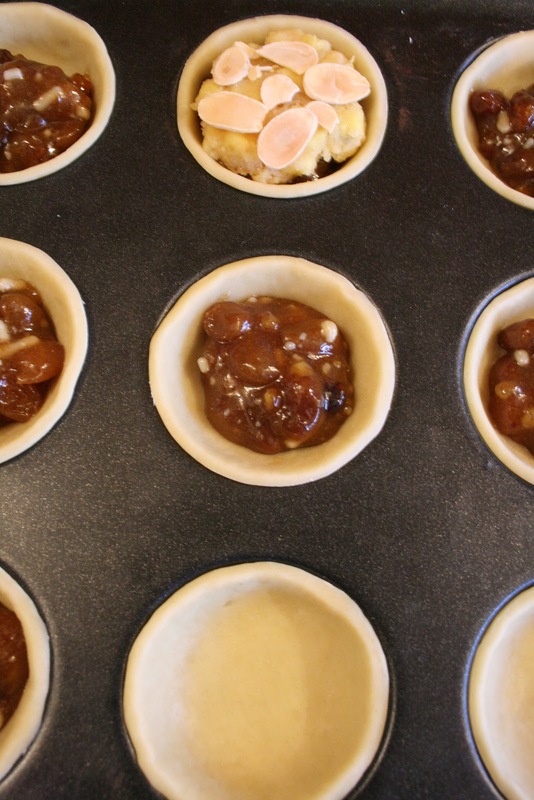 Again I used sweet shortcrust pastry and for the filling, mincemeat was mixed with clementine zest, diced apple and clementine flesh. Orange pastry might also work quite well with this recipe. 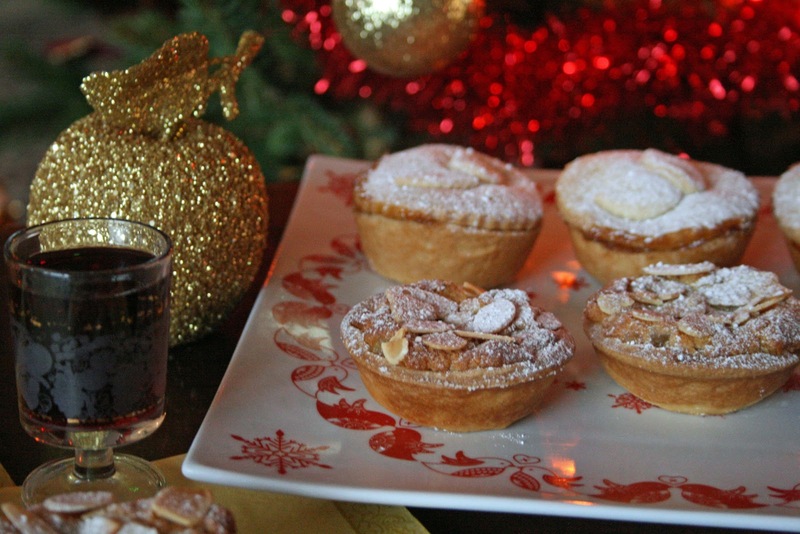 These mince pies are slightly larger as they were made in muffin tins and the cutter was 9cm. 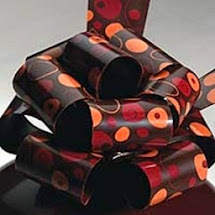 They have a lovely fruity taste and will fill your home with the aroma of Christmas. 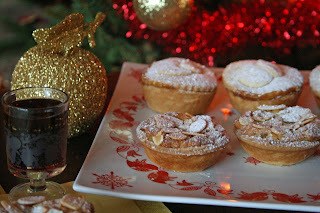 If you fancy some more variations on mince pies which are less traditional check out these mince pie rings and spiced mincemeat fairy cakes that I made last year. I'm entering my Stollen mince pies into this month's Alpha Bakes as the letter of the month is 'S'. 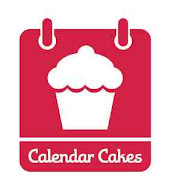 Alpha Bakes is hosted by Ros at the More Than Occasional Baker and she is hosting for December. Her partner in crime and co-host is Caroline of Caroline Makes. Preheat the oven to 200c/180c fan/gas 6. Roll out the pastry on a lightly floured board and then cut out 12 8cm rounds using a circle cutter. Re-roll the trimmings if necessary. Press the 8cm circles into the holes of a bun tin. I greased my bun tin beforehand to ensure the mince pies came out. Put a couple of teaspoons of mincemeat to each pastry case. To create the stollen topping, you can use a food processor or I used a hand mixer which worked just as well. Blitz the madeira cake, ground almonds, caster sugar, egg yolk and butter until it is smooth. Tip into a bowl and then mix in the candied peel and diced marzipan. Divide this mix into 12 roughly even balls, then flatten each one into a disc which is roughly the size of the pastry case top. Place a disc on top of each mince pie and gently press down. Finish by sprinkling toasted flaked almonds over each one. 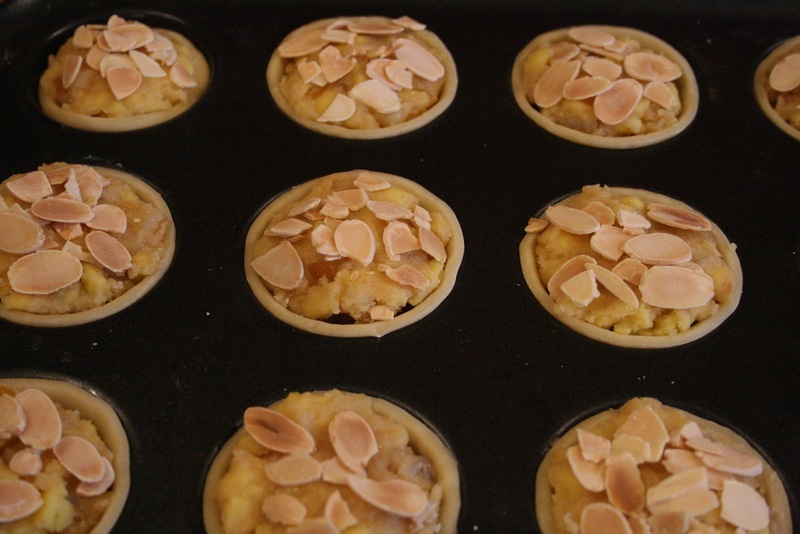 The mince pies should be baked for 20-25 minutes and should be lightly golden when down. Remove from the oven and dust with icing sugar, when they have cooled a little remove from the tin and place on a cooling wrack. You may want to dust again with icing when they're cold as I find if you do it when hot the icing sugar seems to disappear. The stollen topped pies sound delicious! They look great - cracking photos too! I really like the look of the stollen topped pies - its great to try something different! 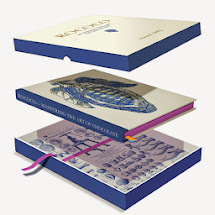 These look amazing and so beautifully presented! Thanks for entering AlphaBakes.